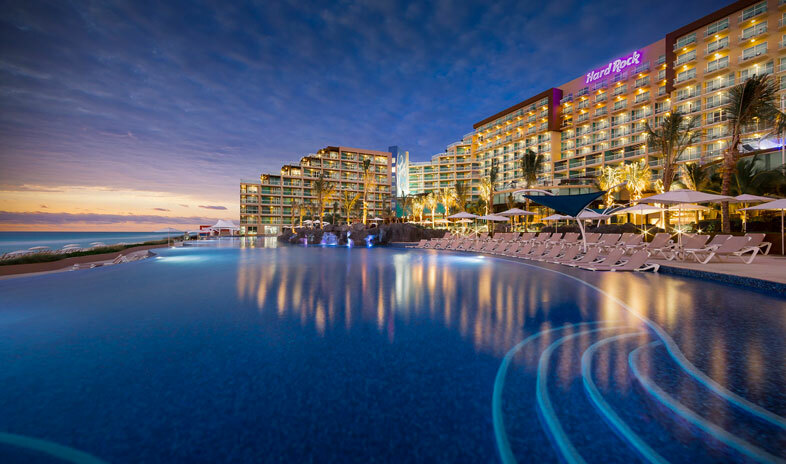 With inclusive pricing that covers everything from meeting space to wireless Internet access, top-shelf drinks, fine dining—even taxes and gratuities—in the cost of the luxury-laden guest rooms, the recently renovated and newly rebranded Hard Rock Hotel Cancun makes meeting planning a dream. Meetings at the 601-room resort center on the 12,650 square-foot Rock n Roll Ballroom, convention facilities, and 10 additional breakout spaces. Themed menus and decor, ranging from modern to Mayan, enhance the ambience if any special occasion. Steps from the sand, incentive and meeting guests can spend their free time soaking up the sun beside the expansive infinity-edge pool, practicing chip shots at local championship courses, playing tennis, taking part in complimentary water sports, enjoying pampering in one of the spa suites, or dining at one of four first-class, yet beachside-casual restaurants. All-inclusive done well. A great experience for the guest and excellent value.